South Africa is the 12th largest producer of sugar in the world, producing 2.2 million tonnes per annum, of which approximately 50% is exported. The industry generates R3 billion per annum and consists of 47 000 sugar cane growers, most of which are small, medium, or micro enterprises (SMMEs). Although cane production in South Africa declined 4% in 2007/2008, the country maintains the 5th largest per capita consumption rates in the world. Sugar cane is one of the heaviest water consumers of any crop, placing significant pressure on natural water resources. In South Africa, sugar cane is often planted too close to rivers, estuaries and wetlands, leading to soil erosion, wetland sedimentation, creation of pathways for alien species invasion, groundwater contamination and loss of critical biodiversity and other ecosystem services. Currently increasing global sugar prices are incentivizing producers to expand crops, placing further pressure on South African ecosystems. In response, WWF-SA, the Mondi Wetlands Project and the Noodsberg Canegrowers Association (with support from the South African Sugarcane Association, the South African Sugar Research Institute, the South African Cane Growers and the Department of Water Affairs and Forestry) formed the Sustainable Sugarcane Farm Management System (SusFarMS) Initiative. The SusFarMS initiative aims to reduce the South African sugar industry’s impact on biodiversity and ecosystems, through a guideline and an extension programme. The guideline is based in economic, social and environmental principles and includes a self-audit sheet. The SusFarMS is the basis of the GreenChoice Living Farms Reference. To date more than 400 commercial farmers have committed to the implementation of SuSFarMS and the programme has received widespread industry and government support. 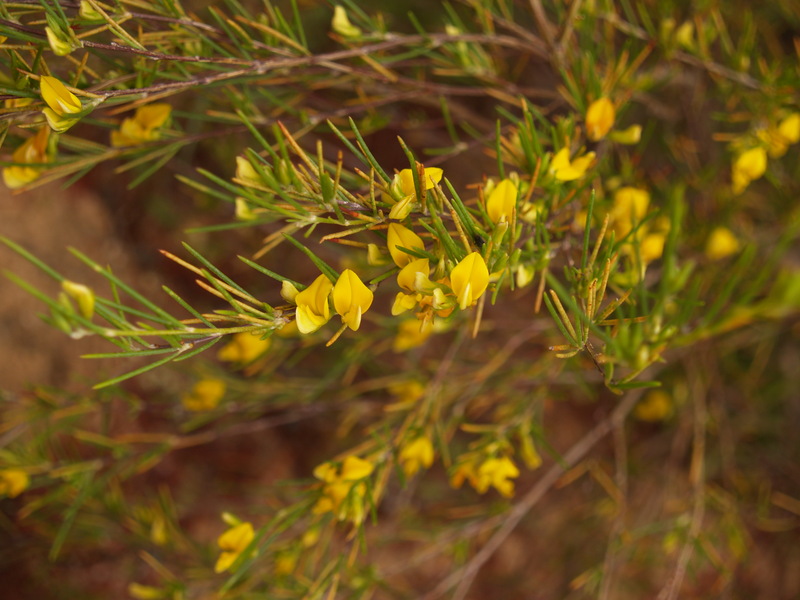 Cultivation of rooibos, (Aspalathus linearis L.), is mostly limited to its natural geographical range within the Cape Floristic Region. Production areas are mostly in the Cederberg and Sandveld areas of the Western Cape and the Bokkeveld area of the Northern Cape. Over 9 000 tonnes of rooibos is produced per annum, approximately 40% of which is exported to key markets, including Germany, Holland, Japan, China, the UK, the USA and Eastern Europe, a small percentage of which is certified as organic, Fairtrade and with eco-labels such as Utz and Rainforest Alliance. The industry has seen an exponential increase in demand, e.g. 742% growth between 1993 and 2003. The cultivation of rooibos poses a threat not only to Fynbos vegetation in general but also to wild rooibos, which appears to occur in several ecotypes (Hawkins et al 2011). An average of 2.7ha of Northern Sandveld natural vegetation is cleared daily, much of this illegally. The total South African rooibos industry crop footprint is currently ca. 79 000 ha (GreenChoice Biodiversity Baseline Study 2010), approximately half of which is in the Sandveld region, the second most highly threatened ecosystem in the country and in the heart of Greater Cederberg Biodiversity Corridor. Less than 50% of the Sandveld remains untransformed and rapid rooibos industry expansion is constantly increasing pressure on critical biodiversity. The region’s most threatened vegetation type is Swartland Shale Renosterveld (over 90% transformed), followed by Leipoldtville, Hopefield and Graafwater Sand Fynbos. The region is home to 58 rare and threatened plant species, 30 of which are endemic (found nowhere else) and 6 endemic vegetation types. In response to the threat to biodiversity in this region a partnership was formed between CapeNature, The Greater Cederberg Biodiversity Corridor, and the South African Rooibos Council (SARC) in 2007 to form the Rooibos Biodiversity Initiative. Since 2010 the initiative has been called Right Rooibos and comprises 36 member farmers. Illegal land and water use in the area remains a serious concern, and the industry has engaged with government on how to address this. Members receive extension services, a landuse plan and map as well as the benefit of the guideline, monitoring systems and niche marketing (see below). A farmer-friendly guideline focussing on environmental, social and environmental aspects of rooibos farming has recently been produced in English and Afrikaans. The Handbook for Rooibos Sustainability Standards was based on detailed studies into the social and environmental conditions in the rooibos-growing areas. This handbook can be obtained from SARC. Many of the farm management templates referred to in the handbook are available on the website. The Right Rooibos guidelines directly influenced the code of conduct for two eco-labels: Utz and Rainforest Alliance. Thus, a biodiversity initiative determined the details of its own market mechanisms instead of visa versa. In 2010, 36 members now contribute 94 148 ha land better managed, 22 810 ha of which overlaps with critical biodiversity and 3 405 ha of which is conserved in land stewardship agreements. In 2010, 31% of the rooibos crop footprint belonged to the Right Rooibos. The honey industry in South Africa has an average annual turnover of R3.2 billion, and is currently producing 2 000 tonnes per annum. Recent government investment in KwaZulu-Natal aims to increase national production to 100 000 tonnes and employ over 100, 000 people. In addition to producing honey, beekeepers play a critical role in agriculture, contributing to crop pollination and the development of products worth billions of South African Rands. 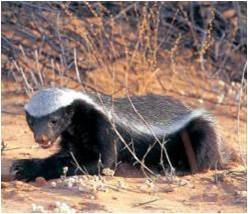 Beekeepers have in the past used lethal trapping methods (poison and gin traps) to kill honey badgers who raid beehives. As a result, there was an alarming increase in badger killings prior to 2001. Honey badgers are registered as Near Threatened (South Africa Red Data Book for Mammals, 2004) and are legally protected in South Africa, but enforcement of legislation is limited. Although relatively common in coastal fynbos, badgers have a slow rate of reproduction and due to their elusive nature and large space requirements, monitoring of populations is difficult. In response, the Endangered Wildlife Trust (EWT) formed a partnership with the South African Bee Industry Organisation (SABIO), WWF, the Endangered Wildlife Trust (EWT) and The Wildlife and Environmental Society of South Africa (WESSA) to form the Badger-Friendly Honey Initiative. The initiative is based on simple hive protection by raising hives on stilts out of the reach of badgers, and making beekeepers and the public aware of this. An extension programme informs and assists beekeepers to adopt badger-friendly methods of beehive protection; and providing an incentive for beekeepers, through an audit system that will accredit badger-friendly beekeepers and allow them to place a “badger-friendly” logo on their products. To date, over 320 beekeepers have subscribed to the SABIO Code of Conduct and “badger-friendly” honey products are available in most major retail outlets in South Africa. Administration of the certification system has also been integrated into the South African beekeeping industry, which undertakes monitoring and enforce compliance, with producers covering auditing costs for the administration of the labelling system. Since 2001, perceived conflict between beekeepers and badgers has declined, with no decline in badger sitings (Irlich and Davies?Mostert, 2009).